If your car becomes unworthy to drive on roads, the car wreckers can help you in disposing of it. Selling your junk vehicle yourself is a tiring job. You must find the best value for your vehicle matching the market conditions and you must proceed with the tedious paperwork. To keep yourself away from these hassles opt for the best Car wrecking company. Let us look through some of the advantages of car wrecking service. 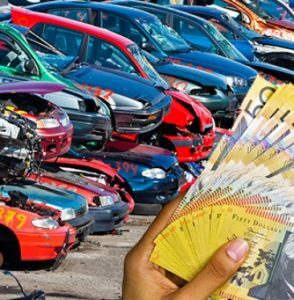 The car wreckers will provide you with the top cash for cars by selling the scrap metals or scrap parts of your wrecked car. The professional team will inspect and identify the potential reusable parts in your vehicle. These reusable parts can be sold out to the car owners who are looking for a cheaper solution for replacing their car parts. By this way, the demand for new parts is reduced which in turn helps the sustainable use of natural resources. The manufacturing industries also offer a good price for your car parts which will be used for reuse or recycling purposes. The car wreckers will employ the safety standards in the disposal of hazardous substances like engine oil, transmission oil, refrigerant, battery acids and etc. These hazardous substances should be never exposed to the environment as it can cause more hazard to the air and land of the surrounding. The trained and experienced mechanics are employed by the car wrecking company to ensure the safe removal and disposal of the oil, refrigerant and battery acids. If you hire a car wrecking company, you need not worry about renting a truck to tow your vehicle to the junkyard. The car wreckers will arrive at your premises and after the completion of the due process, they will haul your vehicle for free. So, if you are looking for car wreckers, you can choose Car Wrecker Perth for a quick and reliable wrecking service. Call us at 0497 843 353 today and get a quote.